There are around 9,20,000 IT professionals in the country and there's an immediate demand for 2,00,000 more that is likely to grow to 8,00,000 by 2030. Japan, struggling with rapid technological advancement and a need for more IT assistance is opening its doors to Indian IT professionals. Executive Vice President at Japan External Trade Organisation (JETRO), Shigeki Maeda, said that the country is looking to bring in around 2 lakh IT professionals and issue Green Cards to them to challenge their manpower deficit. In his keynote address at the India-Japan Business Partnership Seminar, jointly organised by Bangalore Chamber of Industry and Commerce and JETRO, Maeda said that there are around 9,20,000 IT professionals in the country and there's an immediate demand for 2,00,000 more that is likely to grow to 8,00,000 by 2030. Maeda said that Japan is seeking India's assistance as it is looking for "most-advanced IT technology capabilities". Japan's technological advancement at this moment requires rapid adaptation and innovation of emerging technologies. "Due to this conscientious process, there is a dearth of well-qualified and trained IT professionals to enhance its competitiveness, particularly, in the areas of life-science, finance, services and agriculture," Maeda said as mentioned in a report by The Economic Times. 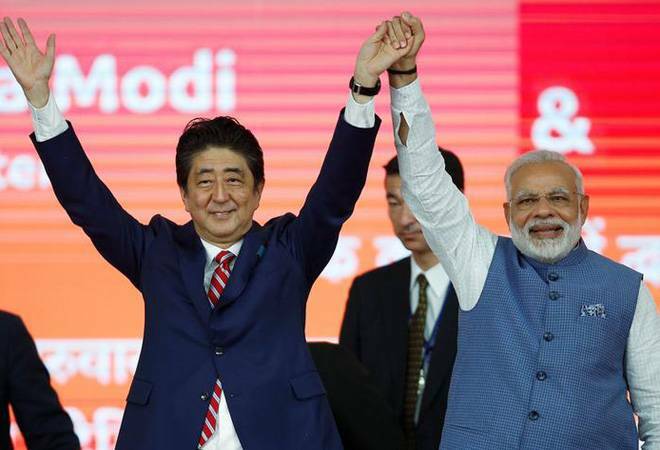 According to reports, the Japanese government is also looking primarily at Hyderabad for collaboration. He also admitted that although Hyderabad is not as popular as Bengaluru in Japan, they are aware that it is the Mecca of the IT industry and that a lot of American companies also have centres there. Maeda mentioned that India can bridge their gap and that almost every sector from healthcare, agriculture to research and development are facing a manpower crunch in their country. He also said that Indians are keen to go to the US, where the competition is tough, but life is much easier in Japan. The Executive Vice President further added that the Japanese government would be issuing Green Cards for the highly-skilled professionals. These professionals would get permanent resident status in almost a year, making it one of the fastest residence approvals in the world. Moreover, Japan has eased the rules for visa issuance to Indian citizens with effect from January 1, 2018. Indians also do not have to produce their employment certificate and letters of explanation for multiple entries to Japan. The number of documents required has been brought down to three, while if the person has travelled to Japan twice in a year, he or she can produce just the passport and the visa application form. This announcement comes at a time when US has tightened its H-1B visa rules, asking companies to prove that the employee has specific and non-qualifying speculative assignments at a third-party site. Moreover, the visa would be issued only for the period of work at that third-party site, unlike the erstwhile three-year period.